The string of brutal executions continues, as IS in Iraq continues its killing rampage of all those who do not submit to it. The recent act follows the execution of a female doctor two weeks ago who refused IS's orders to dress "modestly" and cover her face with a traditional Islamic veil. The method the terrorists use in such cases remains uniform: armed forces arrive at the homes of the politicians and local public figures, shoot them to death right outside their homes, and leave with the body. Occasionally the additional touch of burning the home is mixed into the standard formula to make sure the public "gets the message." 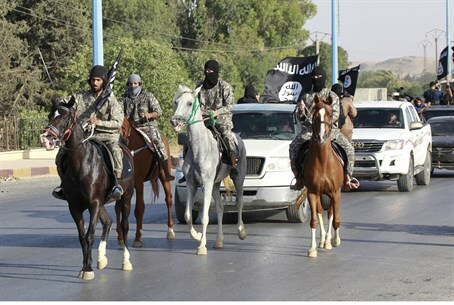 Responding to the threat posed by IS and similar jihadist groups that seek to conquer the world, Middle East studies expert Dr. David Bukay of the University of Haifa told Arutz Sheva that the world should recognize the dangers of such groups and fight Islam like Nazism.